For the first time ever, Studio C is headed to New York City for two live tapings on August 24, 2018! Join us (and Emmy nominated Saturday Night Live comedian Kenan Thompson) for an unforgettable, unpredictable, and unparalleled night of fun! Studio C Live from NYC will feature the entire cast performing all-new sketches that will air as the first episode of season nine. Not only will these sketches feature the fan-favorite Studio C cast, but Kenan Thompson, an Emmy nominee and the longest-running cast member in the history of Saturday Night Live, will also join them in the hilarious sketches as well as host the event. This event will take place in New York City at the Manhattan Center's Hammerstein Ballroom at 6:30 p.m. and 9:30 p.m. ET, and all ticket proceeds will be donated to the Make-A-Wish Foundation. Okay, PHEW! That was a lot of information. Here's a quick recap! The 6:30 ET show is now SOLD OUT! You've got questions and we've got answers! 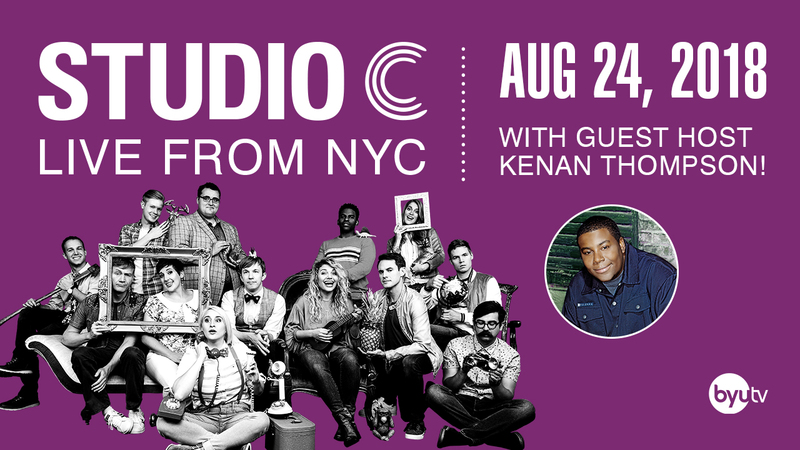 Here's everything you need to know about the Studio C Live in NYC event. Q: How do I get tickets to one of the live shows? A: Tickets are on sale starting Monday, July 23 at 10am ET. Find tickets here: 6:30pm show and 9:30pm show. Q: What time are the live shows? A: The live taping shows will take place in New York City on August 24, 2018 at 6:30 p.m. and 9:30 p.m. ET. Q: How many live shows will there be that night? A: There will be two shows, one at 6:30 p.m. and one at 9:30 p.m. ET. Q: Are both showings the same? Q: How much do these live shows cost to attend? A: Tickets range from $13–$33 depending on the seat you purchase. All ticket proceeds will be donated to the Make-A-Wish Foundation. Q: What is the age limit for attending a live show? A: All attendees must be 8 years old or older. A: You are welcome to wear whatever you want, but we'd love to see you in your Studio C apparel! Q: Where will these live shows take place? A: Both shows will take place at the Hammerstein Ballroom in the Manhattan Center. Use 311 West 34th Street, NY, NY 10001 for all GPS devices. The Manhattan Center is located one block away from Penn Station and is easily accessible by taking the 1,2,3, A,C,E trains to 34th Street/ Penn Station. PATH trains from New Jersey to 33rd Street/ Avenue of the Americas. Via Metro-North take the Shuttle from Grand Central Terminal Times Square and transfer downtown to the 1,2,3 trains to 34th Street/ Penn Station. Manhattan Center is conveniently located next to Meyer’s Parking on 34th Street. Located on the west of Manhattan Center lobby. Open day of show only starting one hour before door time until one hour after show time. Click here for more Manhattan Center information. We wanted to give you (the best fans in the world) the chance to win tickets to one of the two live shows—with backstage passes! How will you get to NYC, you ask? We'll fly you out, of course! And isn't traveling with friends more safe and fun? You're right. Why don't you go ahead and bring three guests with you? What else could we do while in NYC? We thought you'd never ask! How about we give you and your guests tickets to Harry Potter and the Cursed Child (parts one AND two)? 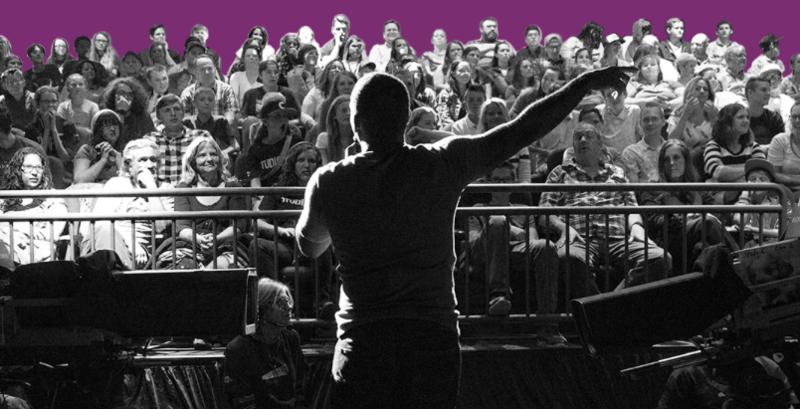 Flights to New York, tickets with backstage passes to Studio C with Kenan Thompson, AND tickets to Harry Potter and the Cursed Child for you and your guests?! If this isn't the giveaway of your dreams, we're voting you off the island! The giveaway has closed. The winner will be notified shortly! Keep crossing all your fingers, it could be YOU. Win a Trip for Four to New York!